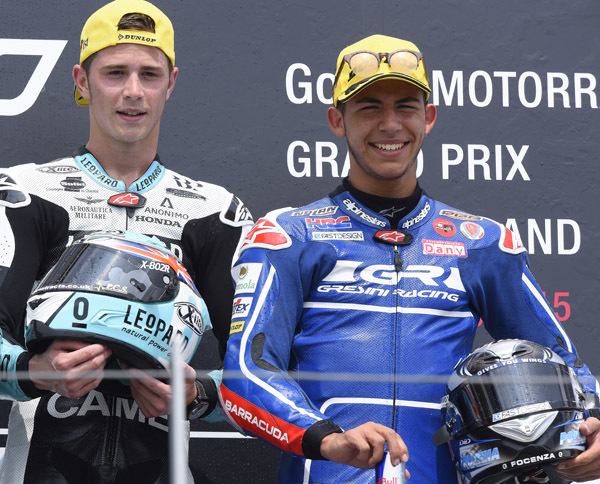 Only 35 thousandth of a second divided Kent and Bastianini, under the chequered flag. Once again was Danny Kent was the winner, (his fourth race of the year) strengthening his leadership in the championship. Enea Bastianini, who started from Pole Position, was not able to conquer, his first victory of career, although his conduct of the race was quite perfect. Locatelli had a good race and closed 12th. In MotoGP Danilo Petrucci, after encountering a lot of problems all weekend, was able to achieve a good ninth place.